Create a place on your website where clients can easily submit information, directly to your inbox. What is a form? It’s basically a place on your website where clients can submit information. Their responses will be sent to the e-mail address of your choosing. These are great to have on your website, especially if you offer multiple services. 1. To add a form to a specific section of your website, click on that section. The widget options should appear on the left. 2. Find the “Form” Widget in the bottom row and drag it where you’d like it to appear on your site. 3. 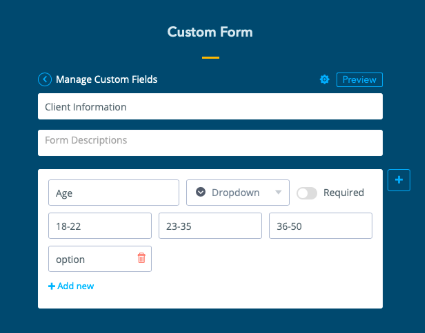 Click on the “Your custom form here” box to begin creating your form. A pop-up will appear; click on “now” to open the form editor. 4. 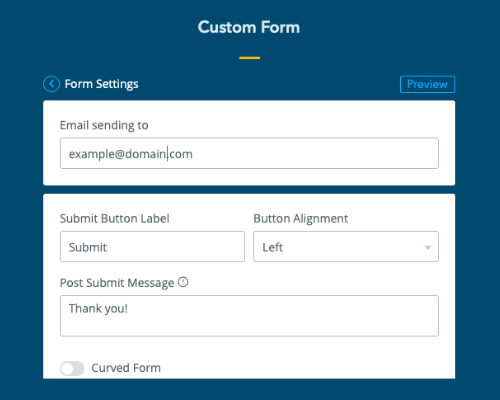 Now you’re in the form creator! Here, you will be able to change the title of your form, add a description, and create different types of questions. 5. 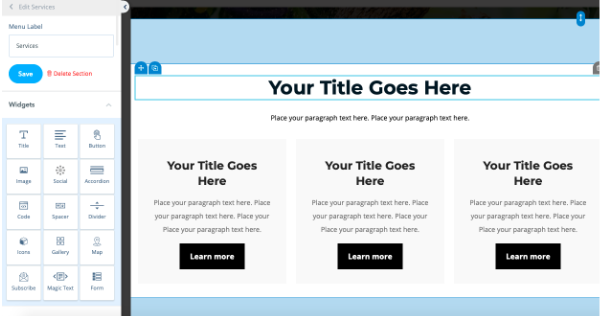 Now, we’ll go into the three types of submission formats that you can choose from. 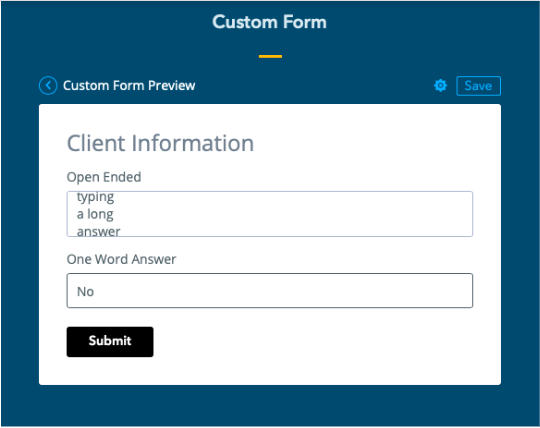 By choosing “Input Field” or “Multiline Text,” your clients will be able to type their own responses. “Input Field” will allow them to provide a short response. “Multiline Text” will allow them to respond with much more information, as the length is not limited. The “Dropdown” option will create a Multiple Choice form for your clients. You will be able to provide pre-set options for them to choose from. 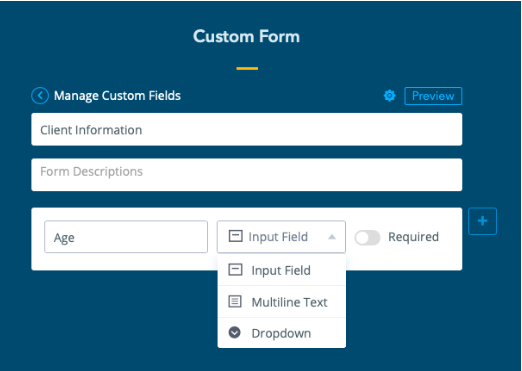 Press the blue “+” button to add multiple submission fields! 6. 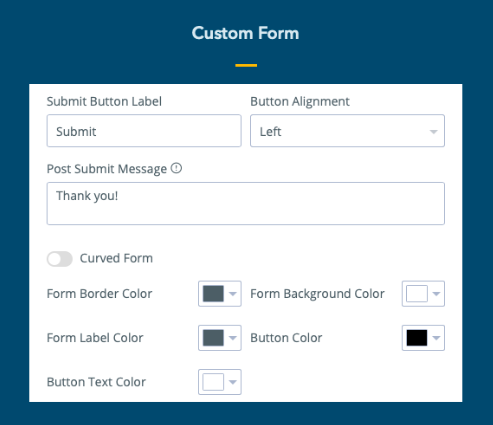 Lastly, we’ll go into how to customize the form itself. To change the email where the responses are sent to, just update the “Email sending to” box, as pictured below! 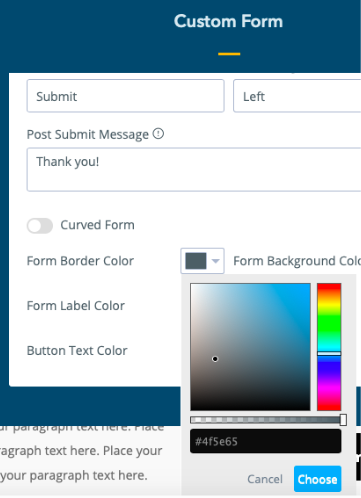 Scroll down a bit further to see where you can change the colors and other design elements of your form. Now, press on “Preview” to view your form. Once you’re happy with it, click on “Save” to add it to your site! 7. Perfect! Now your clients will easily be able to submit information. Note: forms will not appear until your website is live. Forms will not show on demo sites.